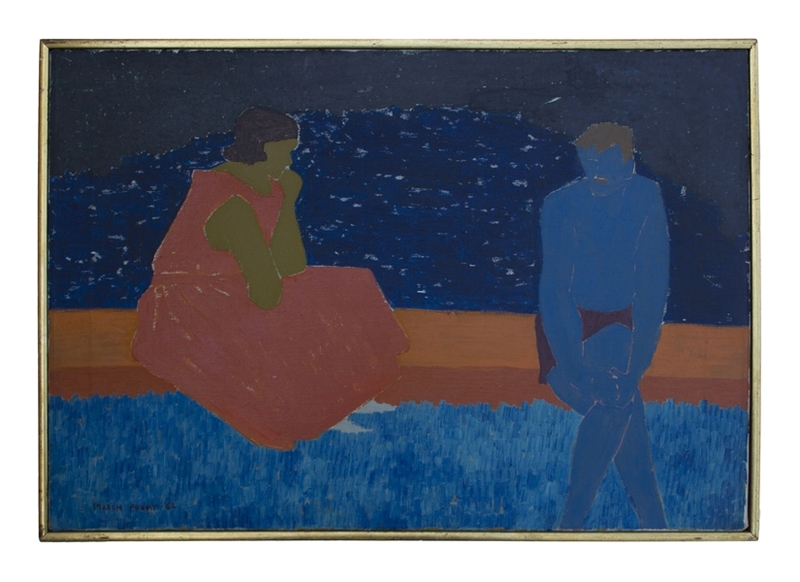 March Avery painting from 1962 entitled ''On the Dam''. Oil on canvas was likely painted in Yorktown, New York where the artist Wallace Putnam and his wife, photographer Consuela Kanaga lived. Signed ''March Avery '62'' at lower left and again signed and titled on the reverse stretcher. 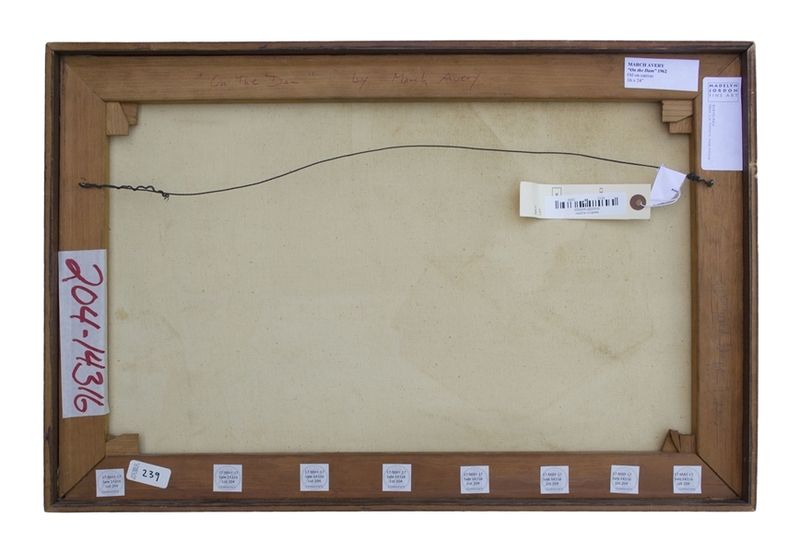 Measures 24.25'' x 16'', framed to 24.75'' x 16.75''. Unlined with no restoration. In very good condition with minor surface cracking. A fine example of Avery's work in the modernist style of her father, whom she trained under, showcasing her modern use of color.